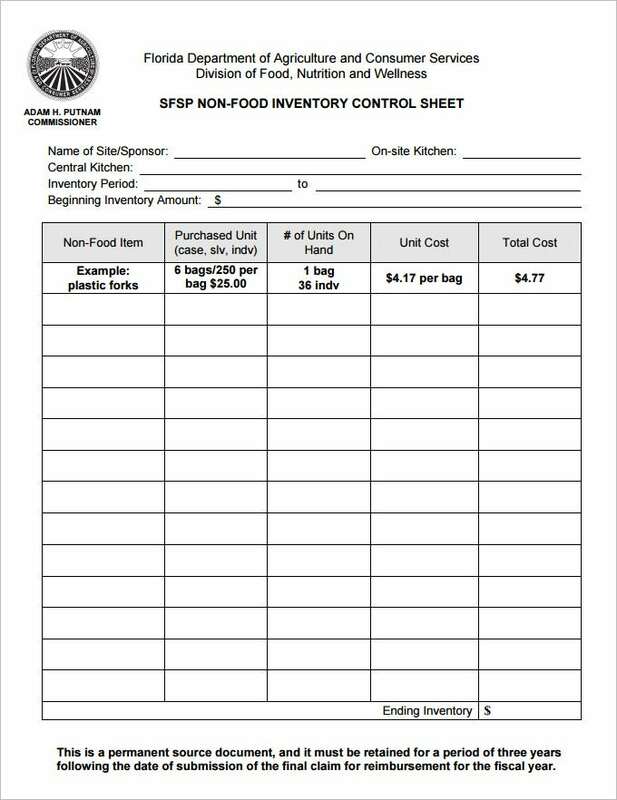 A food beverage inventory template helps you keep stock of how much food you have in stock for your store. These are available for download and are free. 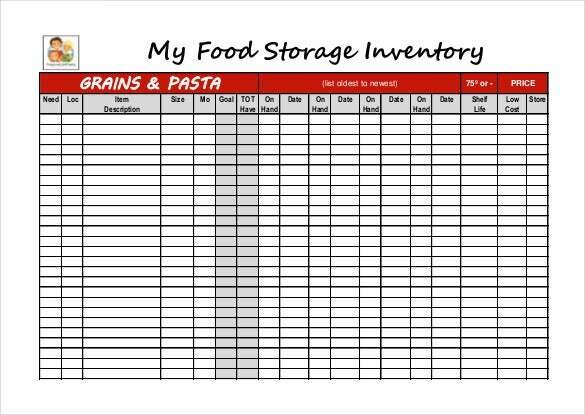 There are food inventory forms that you can use for such a purpose. 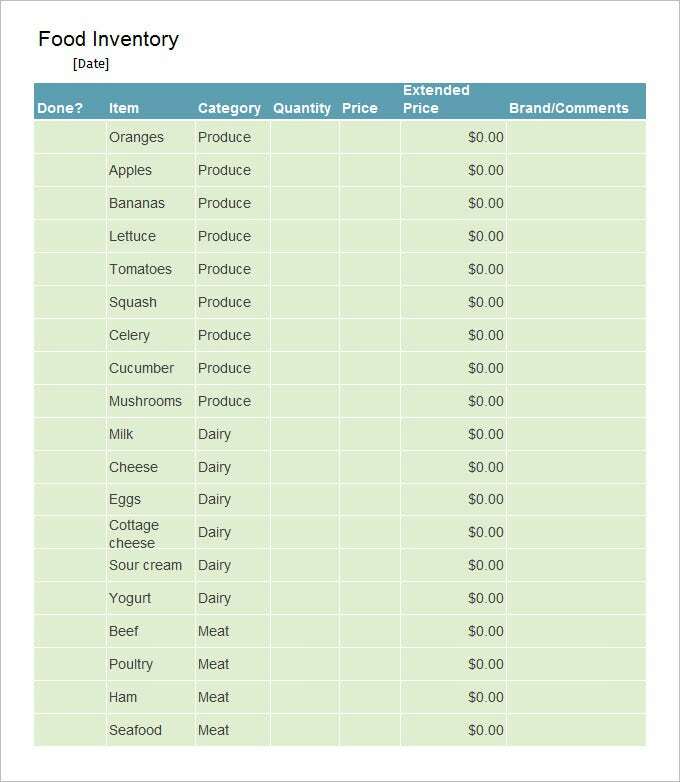 The financial inventory can also be created simultaneously by setting up price lists and a list of sales, thus allowing the user to quickly assess the condition of their online food store.A Restaurant Inventory Template can be trusted in order to keep a track of how much of the product you have in hand for sale. 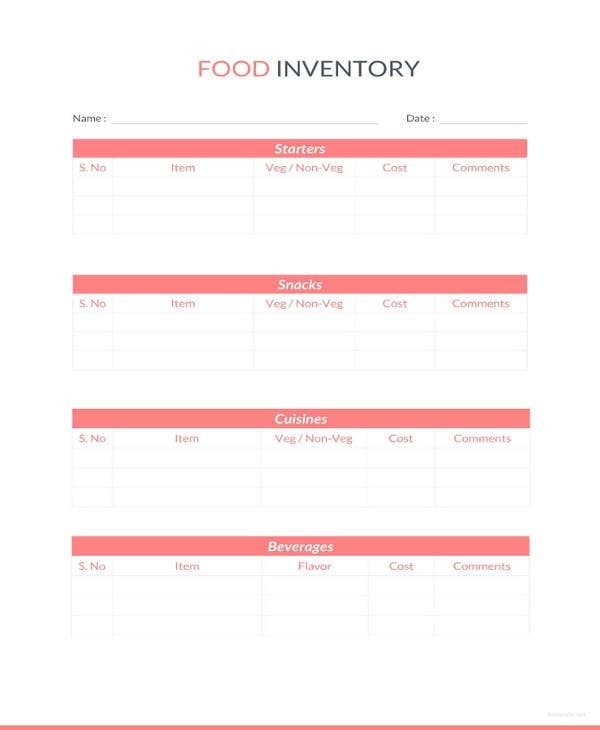 The Total Food Inventory Template Download is one of the easiest and fastest tools for keeping a track of food inventories, managing restaurant chains efficiently, and organizing ample amount of food stocks to avoid unfavorable business conditions. 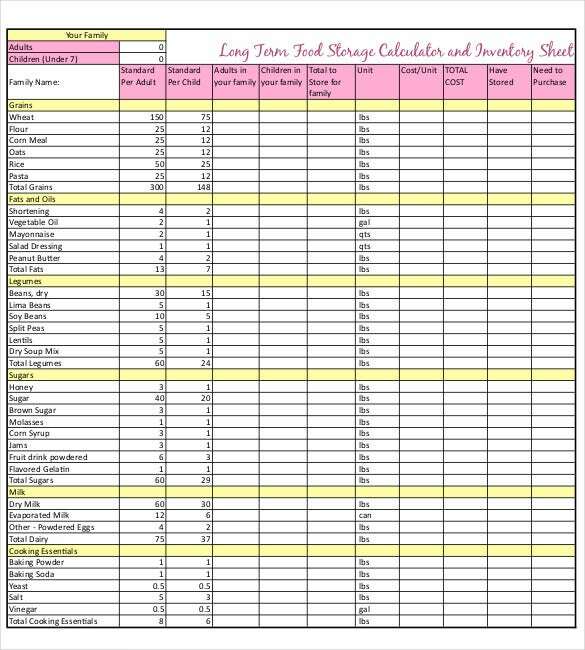 You may also see Excel Inventory Templates. 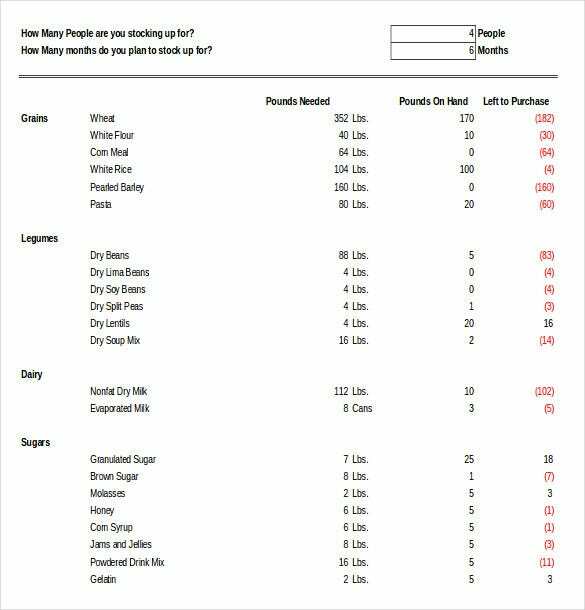 The Bakery Food Calculation Inventory Template is specially designed and developed to help you manage your food joints that engage in selling of bakery products like cakes, pastries, patties, breads, buns, and many other items. 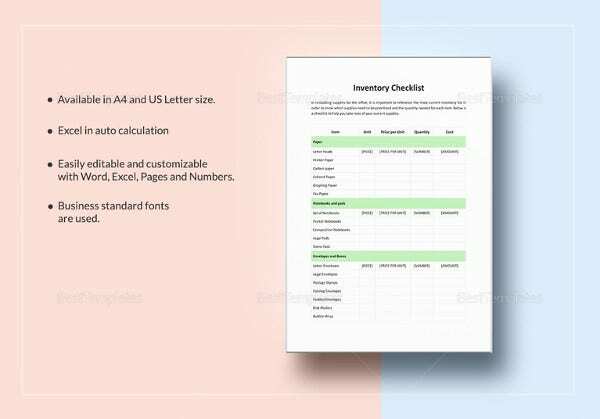 You can easily customize these templates and use them for controlling the cost of your restaurant by purchasing things in bulk, keeping a track of it, and availing heavy discounts for large orders. You may also see Best Inventory Templates. As the name suggests, the Liquor Inventory Sheet assists you to manage, maintain a record, and even edit the previously stored records for knowing the current stock of a bar or restaurant. All you need to do is to download the template, fill in the details of the stocks available, and hit the “Get Free Count” button to scan your entire liquor inventory spreadsheet and know the current status of stocks available. 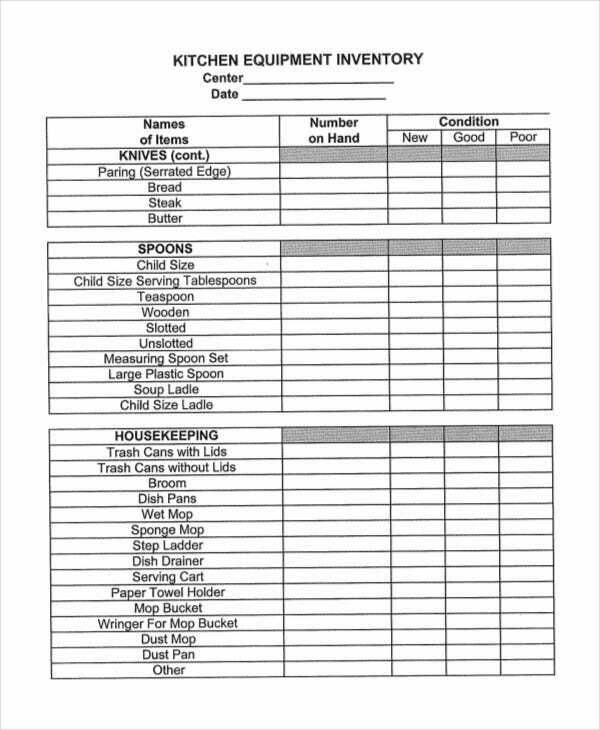 You may also see Printable Inventory Templates. 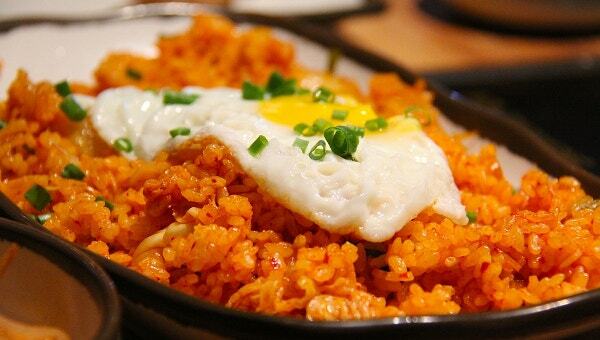 Owing a restaurant, running a canteen, or even operating a school mess, all of them require streamlined process of keeping, maintaining, and preparing food inventory. 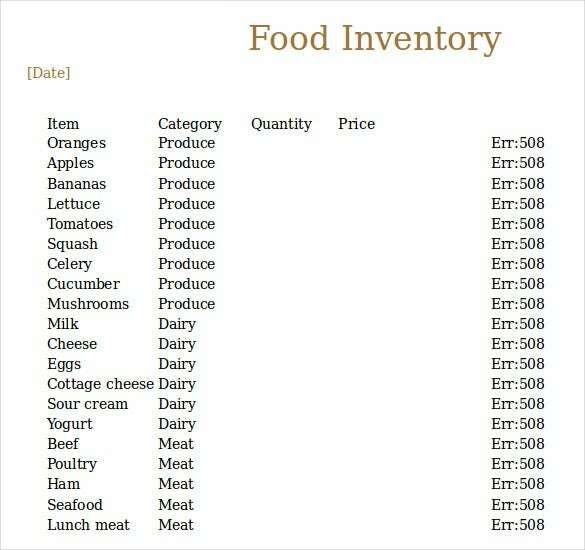 Downloading and using the Food Inventory Template for keeping the track on how much food stock you currently have in store is one of the best solutions to avoid food crisis and all the situations where your customers may return empty handed. 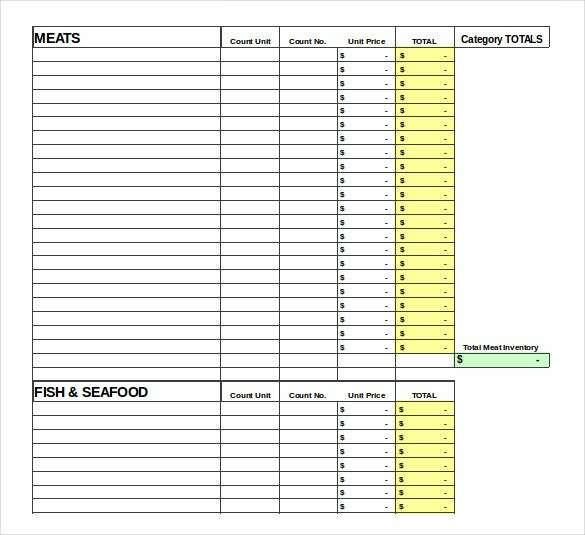 Blank Food Inventory Template You may also see IT Inventory Templates. 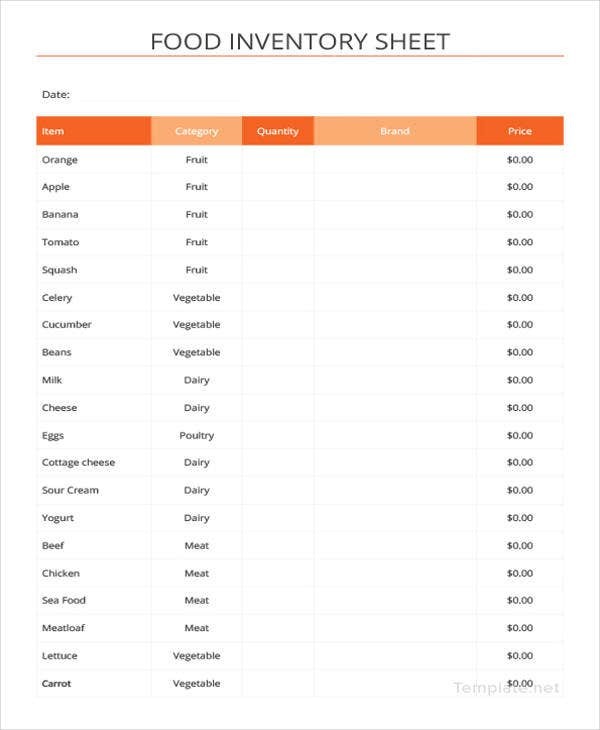 Food inventory templates generally record the various ingredients and dishes that your site sells and informs you of what you need to purchase and in how much quantity. 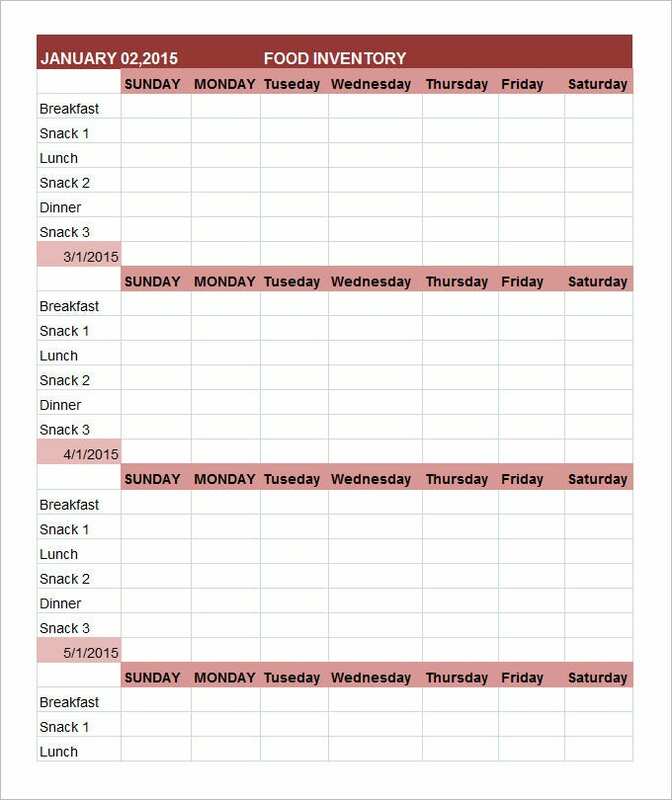 These are available in the form of several charts, spreadsheets, tables, etc. 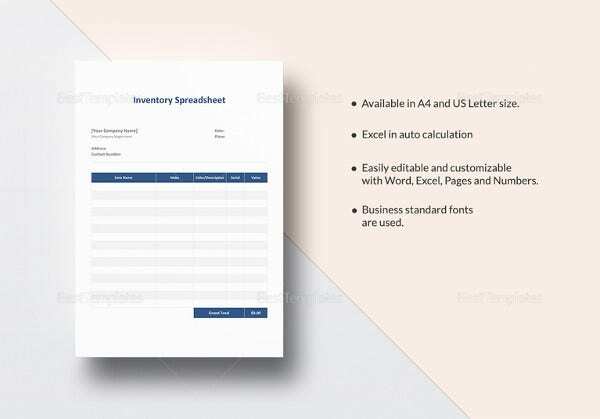 of premium grade quality.A monthly Inventory Template report is extremely useful when one owns something like a food store. 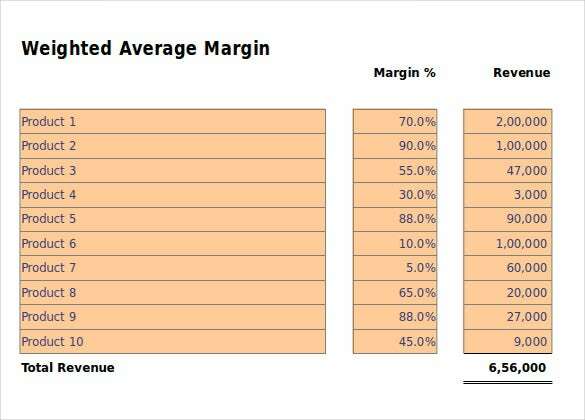 Since stocks are bound to dwindle as fast as sales are made, it is prudent to keep an eye on how much of a particular product one has, to ensure there are no shortages and maintain a healthy profit margin.